A celebration of love without labels. It’s easy to be brave with you by my side! Popular DJ Dexx finds himself positively smitten by the precociously pristine Poppy Paris. Too bad she’s already taken by an older boy, Declan Davies, a beautiful model with a thriving career, and a perfect family. 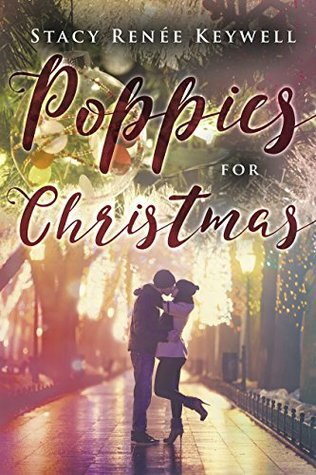 By a dreamful stroke of chance, Dexx finds himself invited to spend Christmas at the Davies home by a gorgeous girl, granting him the opportunity to pursue the precious Poppy. But in his quest to win her over, he unlocks a world of imperfection and insecurity, where people are picked on for their disabilities, speech, appearance, and eccentricities. For Poppy and her friends, love trumps labels, and everyone deserves a brave friend to stand by their side. What gifts will Dexx discover this Christmas? Will he ultimately find true love, or will he discover something even greater? We stood toe to toe in another awkward silence. Guests moved around us, and disappeared. Time stood still. Her eyes sparkled. The departure of her cantankerous relatives, and my pep talk revived her zest. After layering on the warm clothing, Denver led me out the back entrance. Paper bags populated either side of a shoveled pathway. Someone had cut out decorative holes in each bag, resembling snowflakes, turning the sacks into lanterns. Candles were placed inside the bags which lit up a long trail. The flames flickered, and glowed yellow. The trail filled with a yummy, vanilla scent. The candles created a festive yet eerie atmosphere, a happy nightmare. Denver and I stood outside alone in the blustery winter night. The wind prickled my nose. A gust of white flakes swirled around Denver. The snow bowed down around her, honoring her as if she were an ice queen. At the foot of the path was a basket. Denver picked out two long objects. She dipped them into one of the glowing bags, and pulled them out with tiny flames. She handed one to me. It was a long, white candle stuck in a plastic holder to catch the wax. A red and green plastic poinsettia plant with red berries, surrounded the candle. The bouquet had that nice, waxy, nostalgic fake flower smell, reminiscent of shopping in the craft department with my mother as a child. It brought me back home to my childhood. A bout of sadness enveloped me. I momentarily missed my family, whom I left for this mysterious adventure. Denver playfully knocked into me with her elbow. She snapped me out of my homesick state. Guided by the flickering lights, we began walking down the snow covered path. We passed the snow hill, and entered the forested area. An animal howled from a distance. The dark trees surrounded us in the woods. The sound took Denver’s breath away, and startled her. She gulped, let out an eek, and bumped into me again. “I’m not afraid,” she defended herself. We wandered to an opening near the lake. A crowd of people gathered. They all held the candlelit poinsettia bouquets. We joined them. Debbie and Dereck nodded. The crowd started singing Silent Night. The warm cheerful voices grew in volume. The carolers began to walk around the property, arm in arm. They embraced their candles to light the way. Denver chanted the words in a soft, dreamy tone. Her voice echoed across the lake. It took my breath away. We walked arm in arm. Silent Night turned into Winter Wonderland. At some point, I stopped singing. My mouth gaped open as I listened. The two of us stopped. The rest of the crowd moved on, in song, without us. Author Stacy Renée Keywell lives a life of fabulous clichés. She enjoys asking rhetorical questions, and speaking redundantly. Stacy works hard at telling bad jokes, dancing oddly yet awesomely, and making up amazing new words in hopes that they will one day find their way into the dictionary. She strives to love without labels. She vows to bravely stand by the sides of those who need her, especially her two daughters. Stacy, her husband, and her children live in Michigan in a quaint house in the woods. You can follow the Poppies for Christmas Blog Tour here. Sounds good. I love the cover too. Thanks for stopping by. I love the cover too! It's actually what caught my attention first. Would love to read this!!! Thanks for stopping by. I hope you get a chance to read and enjoy the book. Congrats on the tour and thank you for the excerpt and giveaway. I hope things are going well with you. Thanks for stopping by and checking out the book and excerpt. I really liked the cover and description of the book. Sounds like a great read.